Our sources note that permission for this large force to cross the border and link up with the Syrian government’s army would present Gen. Kochavi with his first major test. Tehran is anxious to find out whether Israel – or the US – means to actively halt this major troop buildup by bombing it from the air. 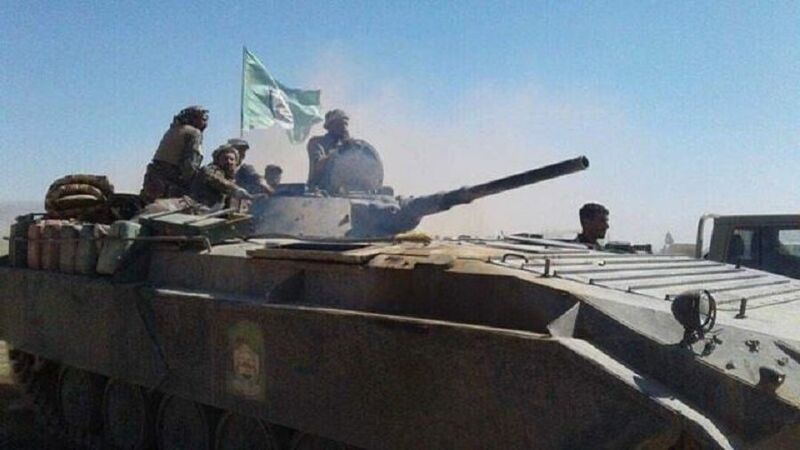 If the PMU fighters are not stopped as soon as they set foot on Syrian soil, the Iranians will have won this round and feel able to safely augment the PMU force of 10,000 fighters by pouring thousands more into Syria. “Rabbi” stupid person. Stop studying religion and start learning a little more about the world around you and how it functions..
Why Iran does not send its own fighters? They outsmart these stupid Arabs who blindly obey Iran’s order (Iraqis’ Militants, Hizbollah). One good solution only, kill them all and wait for the next 10,000 stupid arm force to formalize and repeat the exercise. Always think of Golan first. After that bombing comes up naturally. Its ok, Trump said Iran can do whatever it wants. Its time for an international anti-Zionist movement much like ISIS that comprises individuals from all around the world to fight against Israel. Arming Iran with nukes is a very wise move that will be widely supported by the international community, and one that would bring stability and strategic deterrence for Iran. This just proves that Iran is nothing more than sissy. If the ayatollahs want to fight a war then send in your own soldiers. It also highlights irans inhuman treatment of people by sending them to conduct terrorist activities and eventually their death. Soleimani should go with them for moral confidence. about a dozen A-10 warthogs could have a turkey shoot and wrap things up in short order…. Target rich environment and a golden opportunity to ride the area of terrorist scum. Finally it will be a chance for peace in the region –let them cross quicker , maybe than all the fighting will stop and Israelis and Iranians will become good friends , together with the rest of ME countries . they used to be friends during the time of the Shah. The insane Khomeni’s came in and started a religious war against USA and Israel. Has there ever been a country whose people don’t have enough food to eat that’s been able to win foreign military adventures? Just wondering. Is it necessary to talk such filth when discussing current events? Are your minds so small, your intellect so negligible, that you are unable to discuss a serious event intelligently. Get your minds out of the gutter and have a logical, polite conversation. I support Israel and pray they will stand strong and bring on the good fight if it becomes necessary. Life happens, no oh dear, it's name is definitely not Exaggeration, it's name is Ezekiel. not Harry falsehood of red Hearing non universe. Hence why Peter Quill Saved the Guardians of the Galaxy with his own human party. Hence why Hans Zimmerman was accused of murder by the democratic congress. This is why Hans Zimmerman wrote the orchestra of A Million Dreams. Coincidence I think not. I think the case is closed. Russia is not the enemy of USA. It has nothing to do with Israeli occupation forces. Unlike US and Israeli occupation forces they will only go to Syria at the invitation of Syrian government. What is wrong with these Israeli Zionists, they think other countries needs their permission. They are very arrogant like the Nazi occupiers before them. Get real your and your friends policy of helping terrorists in Syria has not worked out. Don’t be such a wiseguy. Present yourself with self-respect. Thanks to the U.S. destroying ISIS and leaving Syria, Iran can now take advantage and move in all of the Shiite Iraqi sponsored troops that it wants into the area. So far, the U.S. has only benefited Iran in Iraq and Syria all under the guise of fighting ISIS. Golden Lion Tamarind, you rock!